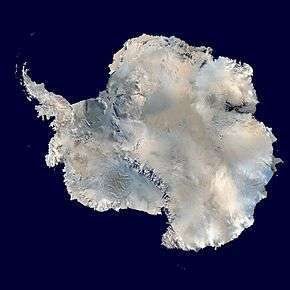 The Antarctic (US English /æntˈɑːrktɪk/, UK English /ænˈtɑːrktɪk/ or /æntˈɑːrtɪk/ and /ænˈtɑːrtɪk/ or /ænˈɑːrtɪk/)[Note 1] is a polar region, specifically the region around the Earth's South Pole, opposite the Arctic region around the North Pole. 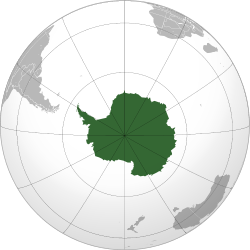 The Antarctic comprises in the strict sense the continent of Antarctica and the islands territories located on the Antarctic Plate. 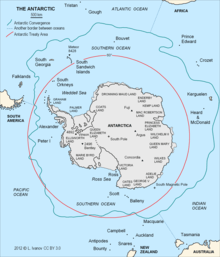 In a broader sense the Antarctic region include the ice shelves, waters, and island territories in the Southern Ocean situated south of the Antarctic Convergence, a zone approximately 32 to 48 km (20 to 30 mi) wide varying in latitude seasonally. 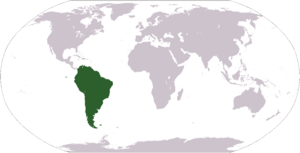 The region covers some 20% of the Southern Hemisphere, of which 5.5% (14 million km2) is the surface area of the Antarctic continent itself. 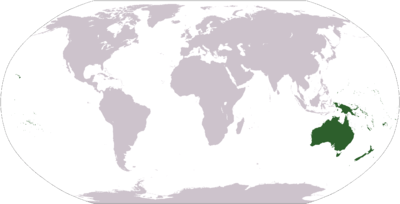 All of the land and ice shelves south of 60°S latitude are administrated under the Antarctic Treaty System. 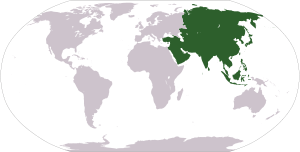 In a biogeographic sense, Antarctic ecozone is one of eight ecozones of the Earth's land surface. ↑ "Antarctic Wildlife". 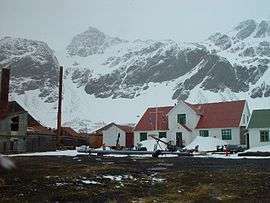 Natural Environment Research Council - British Antarctic Survey. Retrieved 2012-11-20. ↑ Vanessa Woods (2011-10-14). "Antarctic wildlife". 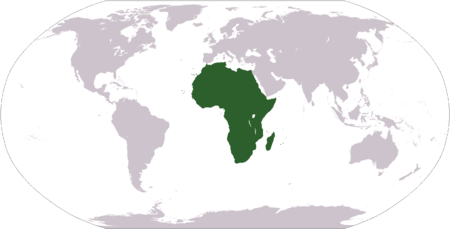 Commonwealth Scientific and Industrial Research Organisation. Retrieved 2012-11-20. ↑ "Plants of Antarctica". 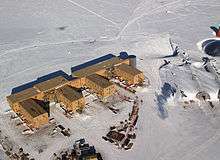 Natural Environment Research Council - British Antarctic Survey. Retrieved 2012-11-20.